DadaSaheb Balpande College of Pharmacy (DSBCP), Nagpur was established under Ambe Durga Education Society, Somalwada, Nagpur by late Shri Vtthahlrao.C.Balpande for the student who desire to build the career as Pharma Professional. They create ideal ambience for learning and growth coupled with world class integrated infrastructure, latest development aid, high skilled professionals who assure of all round development and grooming of students personalities. 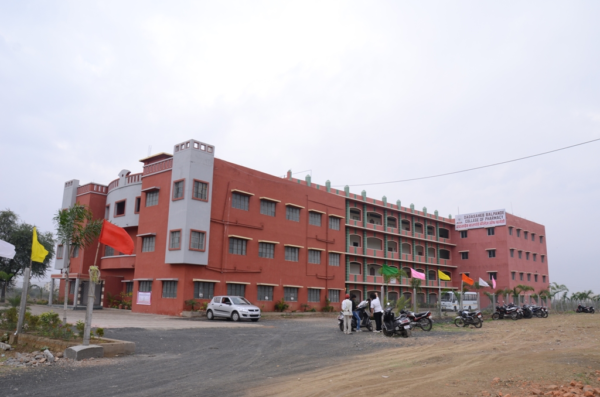 The aim of DadaSaheb Balpande College of Pharmacy is professional competency, expanding the vistas of higher learning through research activities, to help and motivate students to cope up with global challenges, establish discipline, human touch and value added education as core agenda, to provide creative learning and personnel growth. Awards and Scholarships for seditious students-The management is highly generous to award scholarship and medals to all the meritorious and poor students. This develops a healthy competition among the students and thus helps in improving their knowledge in the subject. Excellent Placements–The presence of a placement cell helps all the students to excel in campus placements by conducting several practice session or trainings and campus interviews. The College has industrial tie ups with many pharmaceutical industries and there are many more excellent sources are available for placements of the students.